The 2016 Edgefield Heritage Jubilee saw another successful event this past Saturday. We had a great crowd of people and had a good many vendors and entertainment. It takes a tremendous amount of time, work, and volunteers to have such an event. I am grateful for the many people who took the time to give a hand before, during, and after the event. I cannot begin to name everyone who was involved, but I would like to call out a few that have been a constant in the planning of this event over the past several months. A special thank you to Wanda & Sonny Seawright for their many years of service to Edgefield’s festivals. Wanda & Sonny have dedicated some 25 years of their love and time to our town’s events dating back to the first Halloween Festival in 1988. They “retired” for a few years and took a break so that other volunteers could take over, but a few years ago they were talked into getting involved again for a while. Wanda & Sonny once again “retired” after last year’s event and Keith Coleman and I were honored to take the chair, however, Wanda & Sonny were heavily involved this year as well. 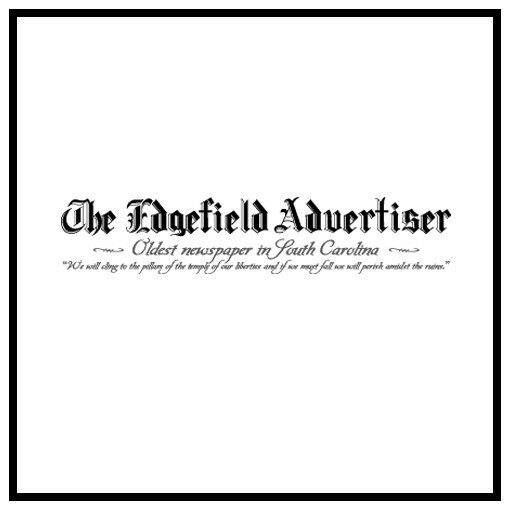 I wish to thank the merchants of Edgefield and our many sponsors and donors for their contribution to this event. Thank you to Mayor Ken Duraham, Charlotte Cheatham and Ann Rhoden. We also could not have had this event without the help of David Coleman and all of the Town of Edgefield Employees. Many thanks to Chief of Police Ronnie Carter and his officers, and to the Edgefield Fire Department for their contributions. Thank you to Keith Coleman, Jody Shaffer, Richard Mabe, Jesse Bryant, Robert Rodgers, and Tom Yoder for your time also. I once again want to thank everyone involved for your time in making this a successful event!